A leading constitutional lawyer and human rights activist, Thulani Maseko, has taken Swaziland’s King Mswati III to court for changing the country’s name and undermining the Constitution. According to papers filed by an organisation known as the Institute for Democracy and Leadership (Ideal), Maseko has approached the high court of the kingdom, challenging the name change. In his application, Maseko, who is the founder of Ideal, wants the court to set aside Legal Notice No. 80 of 2018 as unlawful and of no force and effect. “All citizens had a right to be involved through a legislative process in Parliament or through Sibaya [people’s parliament at the royal cattle byre) before a name change could be made. “The name change has constitutional implications in as much as the name is enshrined in section 1 and mentioned at least 200 times in other provisions of the Constitution. The country ratified the International Covenant on Civil and Political Rights treaty, which stipulates that every citizen shall have a right and the opportunity, without any of the distinctions and without reasonable restrictions. “Every citizen had a right through to take part in the conduct of public affairs, directly or through freely chosen representatives. The name change had cost implications yet the country’s economy was sluggish such that the government was struggling to meet its wage bill,” argued Maseko in his court papers. He argued that the resources to be channelled to the name change should rather be channelled towards improving living standards of the poor. He further submitted that in defence of the rule of law, constitutionalism and human rights, government and its agencies should exercise their powers within the parameters of the Constitution. “According to section 14(2), the fundamental rights and freedoms enshrined in this chapter shall be respected and upheld by the executive, legislative and other organs or agencies of government and where applicable to them, by all natural and legal persons in Swaziland, and shall be enforceable by the courts as provided by this Constitution,” said the submission. The application is directed to the Kingdom of Swaziland and the Office of the Attorney-General, both of whom have not yet filed replying papers. 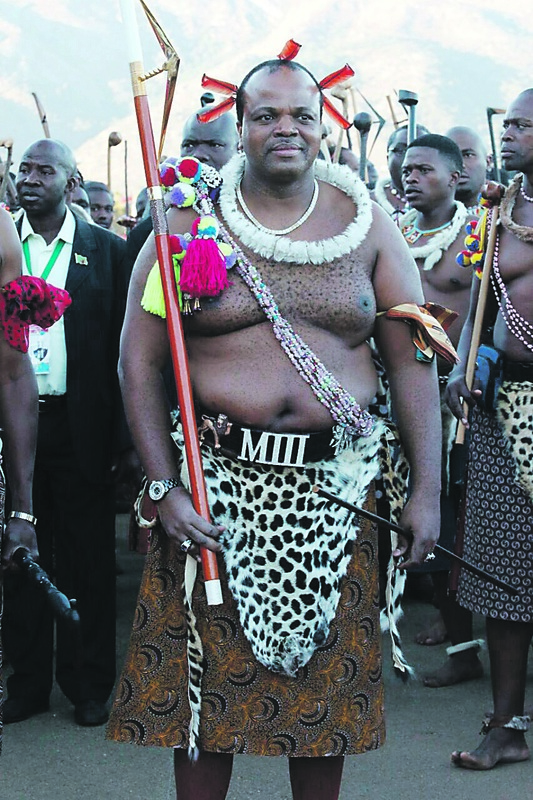 King Mswati changed the country’s name in April, when the country held its golden jubilee. Immediately after the pronouncement, government press secretary Percy Simelane disclosed that the transition would be well managed so that people did not incur exorbitant costs following the change. Simelane told City Press that all national documents bearing the old name would be used until they were finished. “Documents like birth certificates with personal identity numbers will not be phased out, but if a person loses it the duplicate will then have Kingdom of eSwatini. Motor car registration plates have a lifespan of five years and when the five years lapses the car owner will have to then be given a new registration plate with the changed letters. “On things like identity numbers, your number will die when one ceases to exist. The government will not make sweeping changes regarding the name change, so people should not panic,” Simelane said. However, the president of Ngwane National Liberatory Congress (NNLC), Alvit Dlamini, believes the country should carry the burden of changing all documents with international bodies. The leader of the NNLC, which was the main opposition when Swaziland attained independence, called on international bodies to direct costs to the government for disorganising them.